Ocean City, MD HVAC & Refrigeration Services | Atlantic Refrigeration & Air Conditioning, Inc. Question from Ocean City: How Are Geothermal Systems Installed? Why Install a Commercial Dehumidifier for Your Business? Are you in the market for a new refrigerator or freezer for your restaurant? Are you having difficulty with the operation of your heat pump? Does your indoor air quality leave you sneezing? Consider our team of HVAC contractors when it comes to residential and commercial HVAC and refrigeration equipment and services in Ocean City, MD. We offer a number of different products for installation and replacement, including dehumidifiers, humidifiers, air filtration systems, UV air purifiers, central air units, ductless heating and cooling systems, geothermal, furnaces, boilers, refrigerators, and freezers! Contact Atlantic Refrigeration & Air Conditioning, Inc. for residential and commercial HVAC service in Ocean City, MD. Let our team of highly trained and experienced technicians have a look at your air conditioner if it’s not working just as it ought to. Whether it fails to turn on at all, or you want to make sure that it stays in that like–new shape by means of routine maintenance, we have a number of different solutions to offer you. Our air conditioning services include the full gamut of cooling services, including the installation and replacement if central air units, heat pumps, and ductless mini splits. Let us take care of your air conditioner so that you can achieve exceptional comfort within the home during the summer months. Have a Problem that Requires Professional Air Conditioning Repair? Don’t waste time with amateur hacks and DIY tactics. To resolve the root of the issue with your cooling system, hire a trained and technically proficient pro. It’s the only way to make sure the job is done right the first time, and that your system is restored to full capacity quickly and thoroughly. Call our team for air conditioning repair in Ocean City, MD. Geothermal technology is a type of heat pump that utilizes the relatively moderate temperature of the ground just below the earth’s surface in order to dissipate and absorb thermal energy. Let us make certain that your geothermal system is installed and serviced correctly so that you can take advantage of its outstanding energy efficiency. If it is to be reliable, to be there when you need it most, and to operate efficiently to reduce costs, then your heating system needs to be professionally installed and serviced. We specialize in heating system installation, replacement, repair, and maintenance. That means we can take care of your heating system properly from the day of its installation to routine maintenance and fixing any problems that may arise from time to time. We offer furnaces, heat pumps, and ductless mini splits for installation, and we service a diverse range of makes and models. Finding the right heating system for your household can be tough. You’ll want to make certain that your new heater matches the size of your home, that it ensures a comfortable home no matter how cold it may get outside, and that it meets your budgetary requirements. A gas or electric furnace may be just what you need. We install and service them. Let our team of experts have a look at your boiler if you find that it’s making a strange noises, not operating to the best of its ability, or just fails to turn on at all. We can be there in no time to restore value, efficiency, and effectiveness to your heating system. Call us today for boiler repair in Ocean City. Water heater services need to be present for every stage of your system’s life. 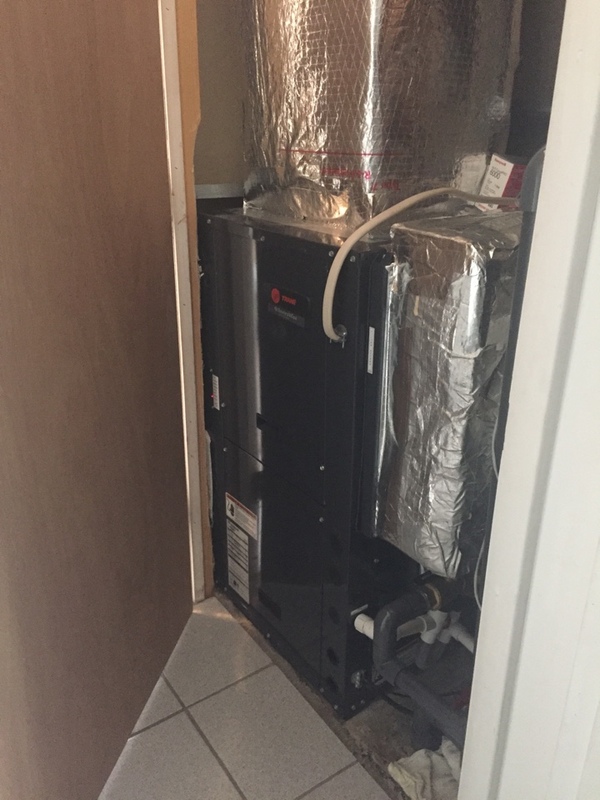 That starts with installation: ensuring that you explore alternative options like tankless water heaters before putting in a system that will give you few problems. As the system grows older, repairs are more likely, though timely maintenance can stop a lot of serious problems before they begin. Finally, when the time comes, the service can replace your old water heater with a brand new one! What’s So Important about Indoor Air Quality? Unlike the temperature, indoor air quality is hard to measure without specialized equipment. But that doesn’t mean it’s something you can afford to neglect. Our technicians offer comprehensive indoor air quality products and services throughout the Ocean City, MD area, including the installation of whole–house humidification and dehumidification systems, air filtration systems, UV air purifiers, and much more. Not only will you know that you’re breathing clean and healthy air, but also that your general comfort is improved. If you’re having any difficulty with dry air in your home, then reach out to our friendly technicians today. We can make certain that your whole–house humidifier is appropriately sized and then integrated fully into your air ducts for maximum efficiency and effectiveness. Let us do what we do best: making you and your family more comfortable. A whole–house dehumidifier will keep you comfortable this summer. While your air conditioner does in fact dehumidify the indoor air during the cooling process, it can still leave your home feeling clammy and strangely uncomfortable. A whole–house dehumidifier is the best solution. The best way to clean up your interior air space is not by relying upon a portable air purifier that you can purchase at any local store, but by the installation of a whole–house device directly within your HVAC air ducts. This is the most comprehensive way to capture contaminants and pollutants from every part of your house. When selecting a company to take care of your business needs, you’ll want to exercise a fair amount of caution. After all, and when it comes to the comfort and convenience of your space, you can’t be too careful. We will make certain that your entire space is well served by custom HVAC equipment designed to perform for your customers and employees 24/7 throughout the year. We offer a wide range of boilers, furnaces, heat pumps, and central air conditioners, as well as commercial indoor air quality devices and refrigeration equipment. Let us be your guide when it comes to the installation or repair of a commercial air conditioning system. These pieces of equipment are large, sprawling, and complex. Frankly, DIY tactics and amateur–level knowledge are no match. We can make sure that your commercial AC installation, repair, or maintenance is completed correctly. Call Atlantic Refrigeration & Air Conditioning, Inc. today. Great professional courteous efficient service! As a Property Manager in Ocean City I am extremely satisfied with the work that has been completed at our building. Jamie Nickerson, Vice President of the company, has been more than a pleasure to work with. He is always ready for anything I might have to throw at him, as well as making sure all jobs are done to satisfaction. Jamie is always prompt with response time and that is a huge help in my line of work. Tom James is one of the main service techs for our building and extremely knowledgeable in the HVAC field. If ever an issue occurred Tom would always find a solution in a timely manner. I would highly recommend this company for any of your HVAC needs. Great staff and even better service!